The specialist hand and power tool wholesaler announced, this month, it has been appointed as the exclusive distributor for US brand, ToughBuilt, in the UK and Ireland. 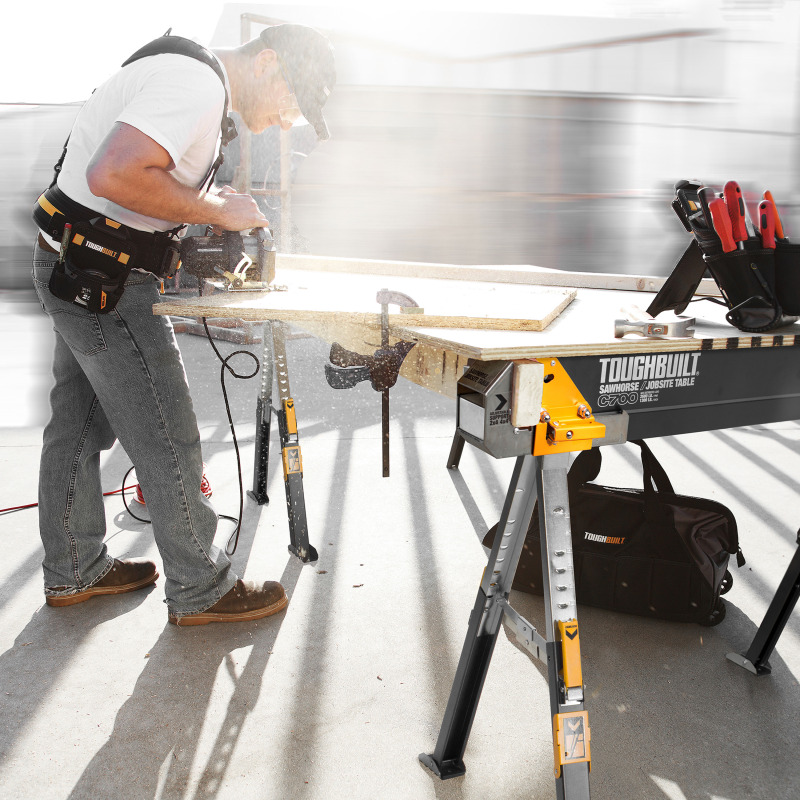 The offer from the Las Vegas-based manufacturer includes saw horses and jobsite tables, mitre saw stands, toolbelts and pouches, toolbags and totes and knee pad. The full range of ToughBuilt product will be available from February 1 and Toolbank plans to showcase products at its spring tradeshows in March and April. The new partnership follows news that Toolbank parent company, Dormole, had acquired Dublin-based tools and fixings distributors, Tucks O’Brien Ltd (TOB) and Tucks Fasteners & Fixings Ltd (QFF); stepping up its investment in the Irish market.